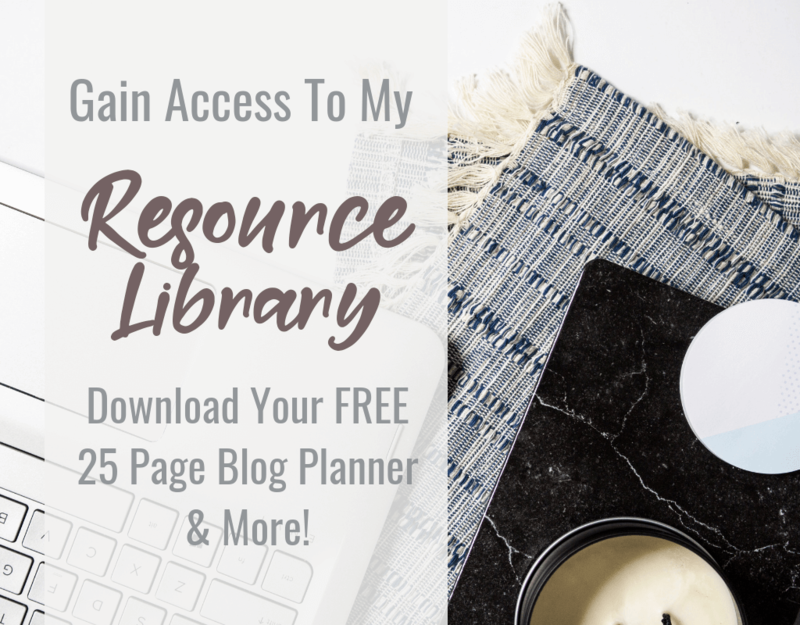 So you’ve started a blog on Siteground, posted a few articles, and now you’re ready to start building your email list. But one thing that has been nagging at you is the private email address you still use. 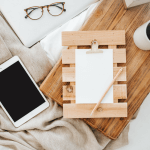 You know you should create an email with your custom domain but the thought of setting it up yourself seems completely overwhelming. But what if I told you there was an easy way to setup sending and receiving your domain email to the gmail account of your choice for FREE? 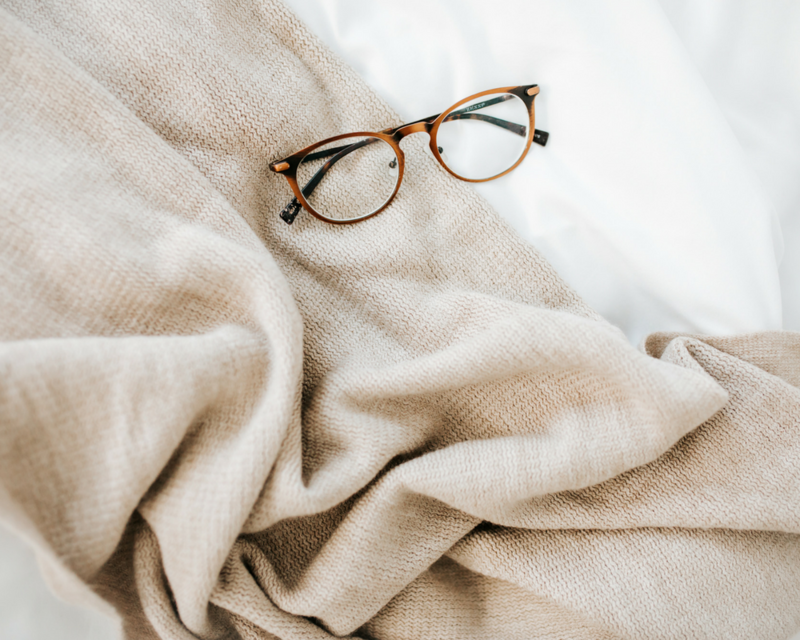 Keep reading to discover the easy steps you can take to setup your domain email to send and/or receive emails from the gmail account of your choice. 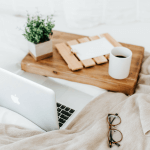 Before we get started, you should know there are actually three ways to connect Gmail to your domain email but I am only going to review the two ways here that are free. 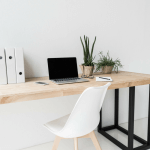 The third way is to purchase and setup a G Suite account which is amazing if you’re trying to coordinate with two or more people but overkill if you’re just getting going with your blog. If you want to try it out, contact me and I will send you a code for a two week trial and 20% off their annual plans. 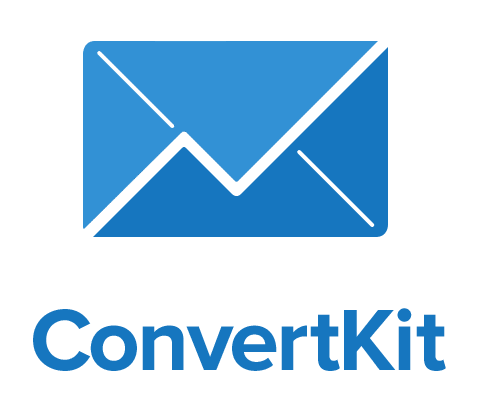 Both ways are easy but one will only allow you to receive email so I am partial to the second way in which you’ll be able to send and receive emails even though it’s a few more steps. This step is great for forwarding your email to your personal email making it easier to check than logging in through the internet to check your phone. The only problem is you can receive emails but when you reply they will come from your gmail account unless you log into the actual domain email. 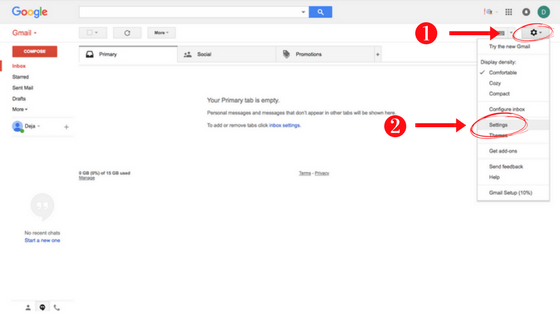 To receive and send email from your Gmail that comes from your domain email, scroll down to ‘Option 2’. 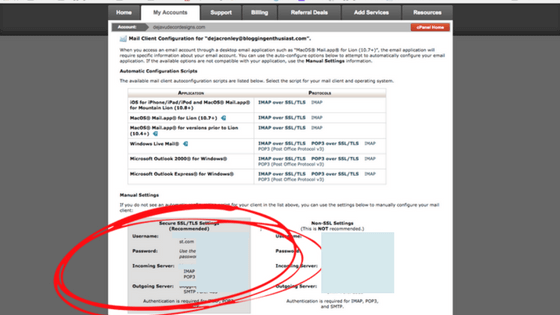 I didn’t include a screenshot on how to do this because I assume if you have setup your hosting through Siteground then you are familiar with this step. 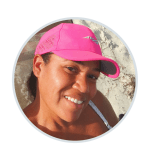 However, if you haven’t done so, check out my post on How to Start a Blog for step-by-step picture instructions. 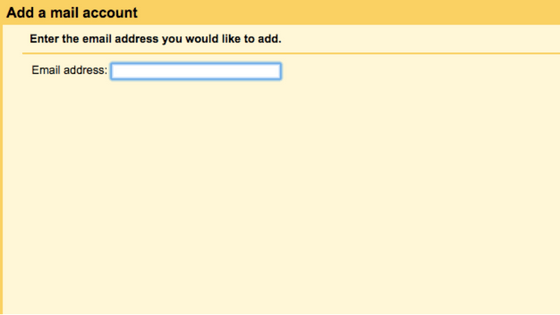 Fill in the email address you want forwarded and then fill in the ‘Forward To’ address. Select ‘Add Forwarder’ and you’re done! This option has a couple more steps but is so way more convenient and the one I prefer. You will not only receive emails from your domain account but will also be able to respond and it will go from your domain account instead of your private email. 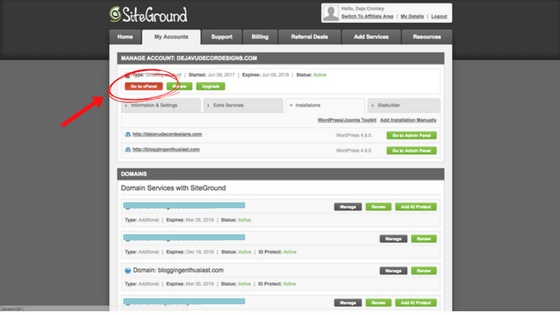 Step One: Log into your Siteground and Gmail Accounts. 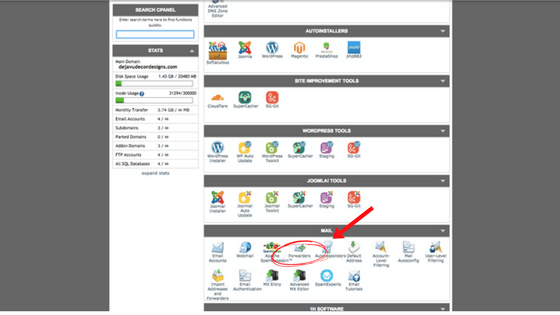 And this article will help you setup your custom domain email if you haven’t done so yet. Gmail is a little odd because there is a ‘Settings’ icon and there is a category labeled ‘Settings’ under the icon. See the pic below if that was hard to follow- sorry! Either way, select the top ‘Settings’ and then select the ‘Settings’ in the drop down box. Step Four: Enter the Email to Forward. These next few steps are really easy because there is literally nothing else on the screen once you get here. Simply follow the instructions by entering your email and then selecting the only option available. The username is going to be your email address and the password is your password for your domain email. 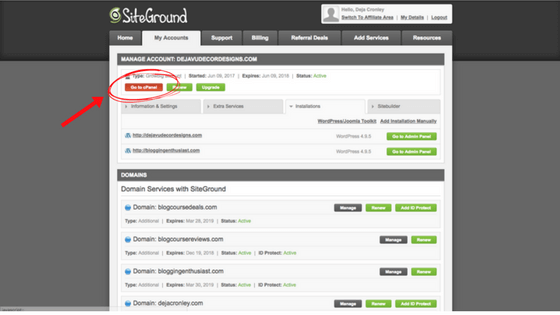 The information for POP Server and Port can be found in Siteground- see the next step for how to access it. 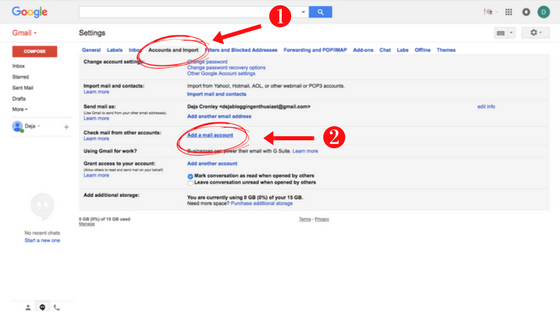 Step 9: The Information You Need for Step 5 in Gmail is Located in the Bottom Half of the Page Below. The Username is your domain email. The password is the domain email password. 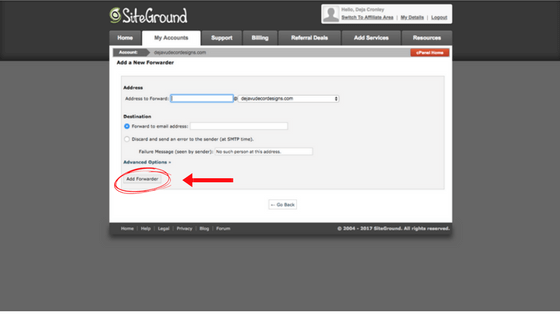 The POP Server and Port information can be found in the Siteground section in Step 8 above. You can select to leave a copy of retrieved messages in the future but I don’t because then you have to go into webmail to delete them at some point. Check the boxes ‘Always use a secure SSL’ and Enter what you would like the ‘Label Incoming Messages’. 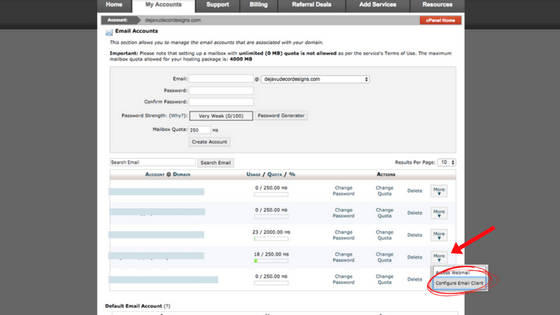 This is what lets you see what emails are coming from your domain email versus what is being sent to your private email. 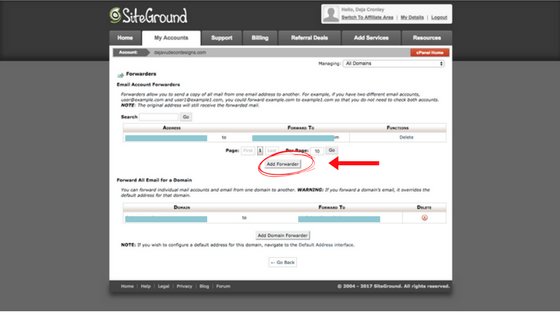 Select ‘Add Account’ and you will be given the opportunity to set up your email response. 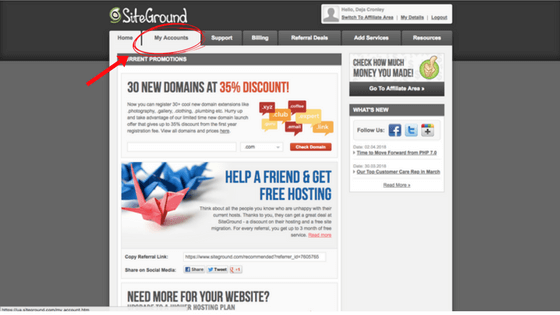 The information needed can be found on the same Siteground page as before. Once you’ve added all the necessary information, you will be emailed a verification code to your domain email. You can either follow the link in the email or copy and paste the code they give you to activate your forward. 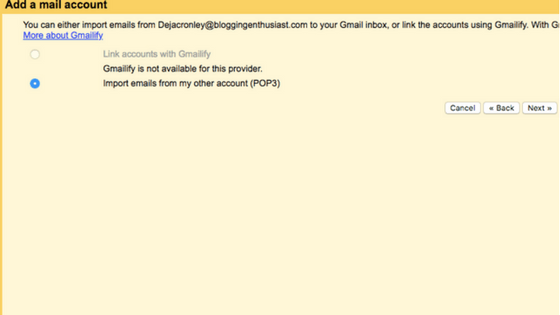 You can then start to use your email account for your domain email. 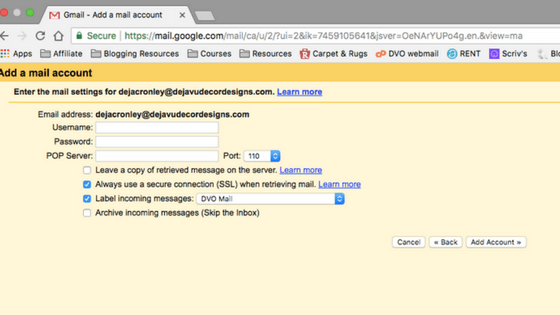 Hopefully the steps above made it easy for you to setup your domain email. 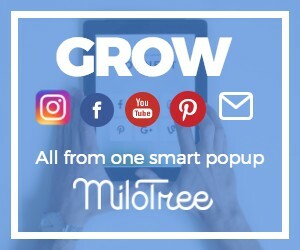 Not only will you find it to be more convenient but you’ll also be able to start building trust with new subscribers a lot easier. 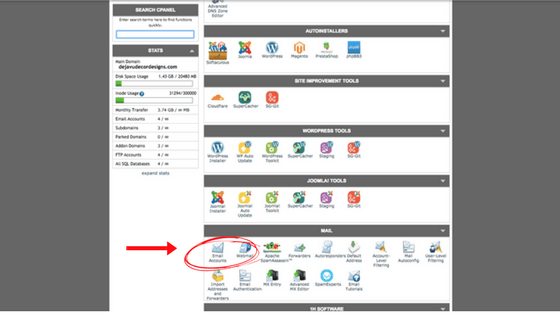 Have any other technical questions or concerns with setting up your new blog? Contact me and I’ll help you out!